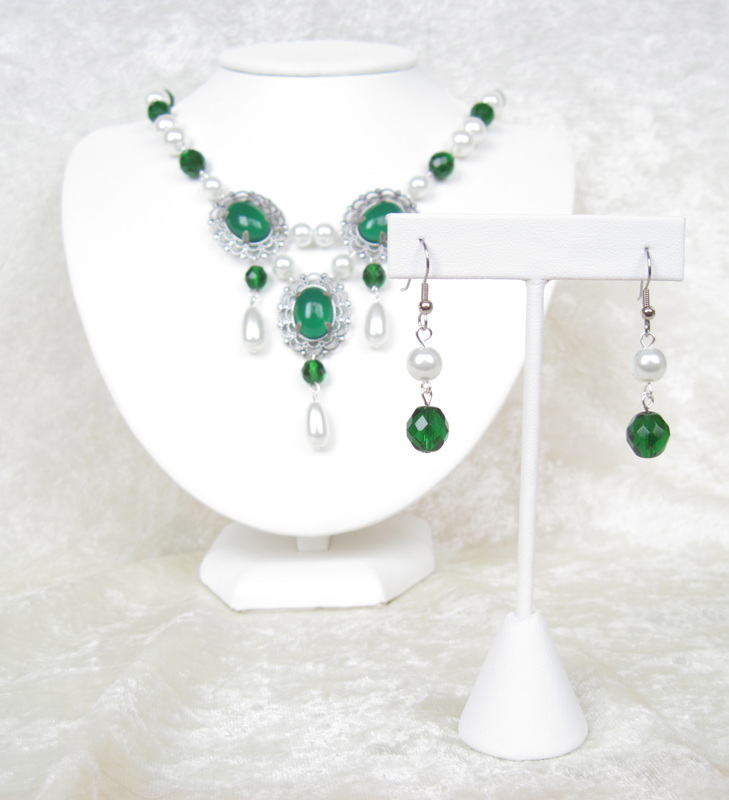 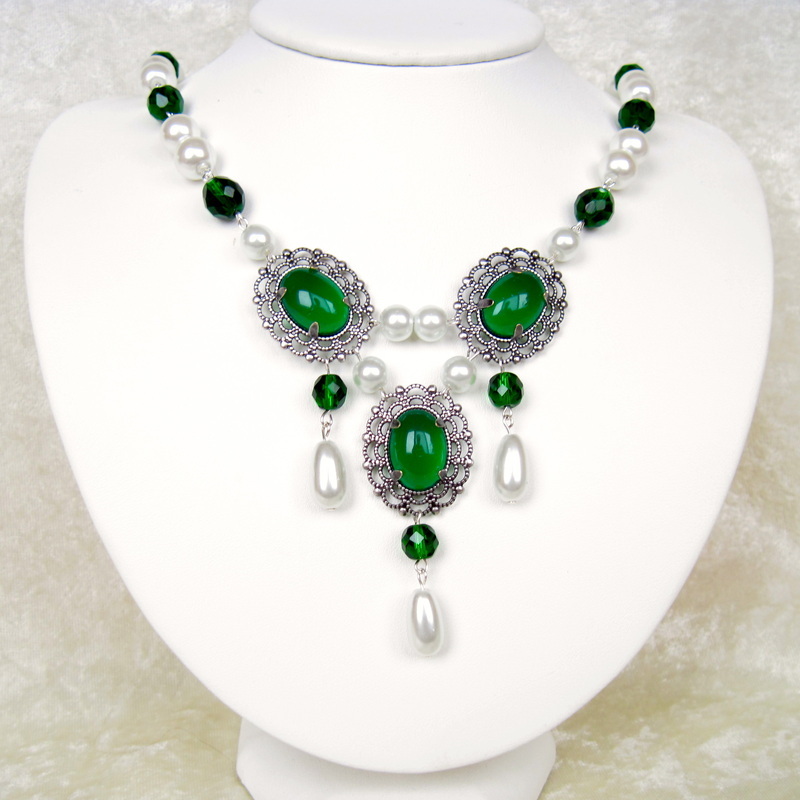 Magnificently regal, this necklace and earring set is a knockout. 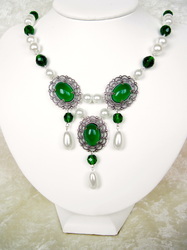 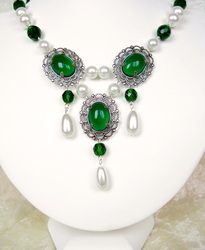 Emerald green glass cabochons and sparkling matching beads are perfectly set off by glowing white glass pearls. Good Queen Bess would have loved this set! You'll be a hit at Ren Faire or any occasion where you want to make a bold fashion statement. 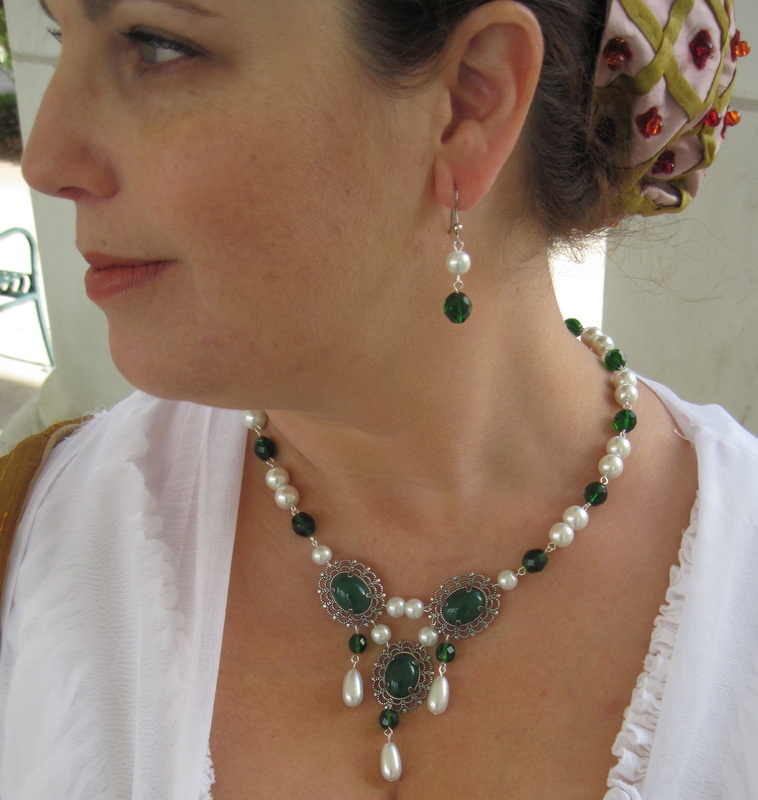 The necklace is 21" long; the earrings dangle 1" below surgical steel french ear wires.